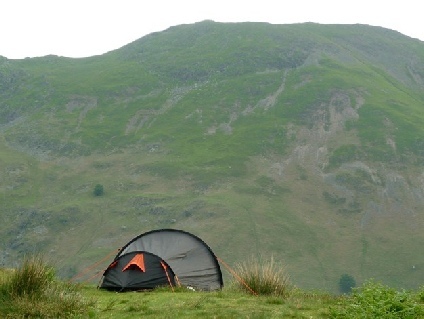 ﻿ Ambleside camping and caravan sites in the Lake District. Ambleside - Classic Lake District village. Ambleside lies just north west of Windermere, and is at the northern end of lake Windermere itself. It is a picturesque town which has retained its charm, and the multitude of walking gear shops mean even the most enthusiastic shoppers needs will be met! The area around Ambleside provides a good range of camping and caravan sites as well as a great selection of attractions and things to do. Check out the key information on the right and then explore the Ambleside camping and caravanning sites listed below. Great Langdale National Trust Campsite, Great Langdale, Ambleside, Cumbria. 015394 37668 . Attractions: Ambleside lies next to Rydal Mount, the historic house and gardens of William Wordsworth. Nearby Grasmere also has a huge range of things to do. Grasmere village has a great selection of places to eat and drink, as well as a wide range of shops. It is most famous for its many connections with William Wordsworth, the most famous being Dove Cottage. You can also visit Grasmere Church, and even get your name engraved in a paving stone in the Worsdworth Daffodil Garden. There are a number of other interesting attractions and shops in Grasmere, including the Heaton Cooper Studio. Fells: Ambleside lies to the south-east of the Helvellyn range, and to the east of the Langdale Pikes. Places to eat: Tweedies Bar and Restaurant - a great place to relax after a hard day on the fells. Ambleside Joinery from Stephen Dixon Joinery Limited.